Working with your partner can be a recipe for disaster, except when you are in so much sync that you seem to be the same person. This week we have another sideline chat from We Are Podcast 2018. I was lucky enough to sit down with Jen Harbinger. 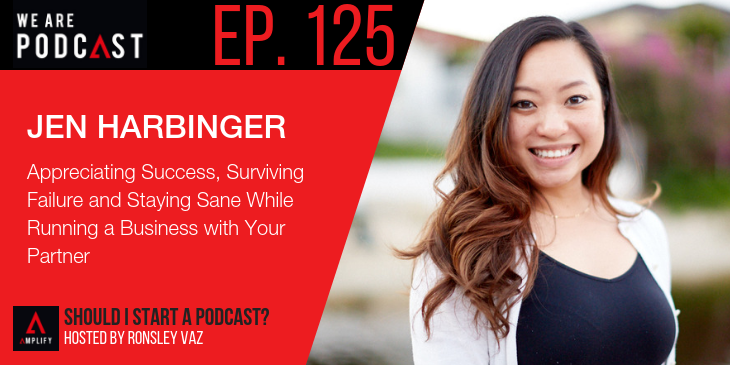 Jen was a former tax accountant, who turned her organizational talents to become the head of operations for The Jordan Harbinger Show and brand. When she's not beekeeping, woodworking, or playing escape rooms, she can be found putting out the fires that seems to surround Jordan Harbinger at all times. It’s a great look into the background of what goes into making a podcast. Jen shares her personal story and how she’s been able to help build such a successful business with her partner.